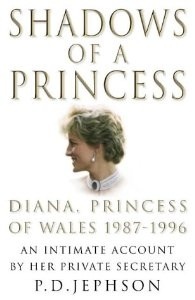 Naturally, media coverage of the book places heavy emphasis on Jephson’s revelations regarding a less savoury dimension of Diana’s character: her addiction to publicity. According to Jephson, Diana’s longstanding involvement with a range of charities was driven at least as much by the desire to see herself in the next day’s newspapers as it was by altruism, though he takes the Realpolitik view that good was nonetheless accomplished through her efforts. 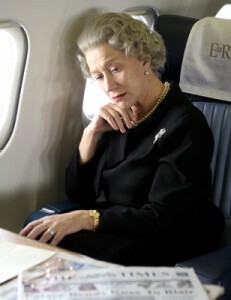 As the loathing between Charles and Diana’s households grew, Jephson’s position became untenable. The turnover amongst Diana’s staff was notoriously high, and she involved many unhappy employees in her cloak and dagger meetings with high-profile journalists and lovers. In the aftermath of Diana’s “time and space” speech, when she dropped over a hundred charities, the scope of the private secretary’s traditional work narrowed and was supplemented with what Jephson regarded as Diana’s self-destructiveness. Only a year before Diana’s death, Jephson resigned. Wisely for him, Jephson scarcely mentions the young William and Harry, and he also takes no clear side in the marital fiasco of the Waleses. While he makes clear his loyalty to the Queen, it is easy to understand why the Royal Family would so loudly resist such a rehashing of the Diana story today. As he creates a (perhaps straw) princess to be knocked down, surely Diana’s defenders will restate their position once again, to the detriment of the Windsors. Thus, Jephson is at best naive if he believes himself to be performing any form of service to the Crown by “setting the record straight”. Fascinating though the book is for contemporary readers, it is certain to become one of the canonical texts for future students of the twentieth-century monarchy, precisely for its intricate portrayal of the nexus at which the Palace meets foreign governments, the media, and a variety of charities. Jephson’s Cambridge education in political science is put to excellent use here. His account will assist future historians in determining where power was located in the palaces and how, despite consitutional restrictions, it could be deployed in the wider world.